Wood is extremely durable as a flooring option. Each wood species used to make flooring has a different density, which translates into a different hardness. 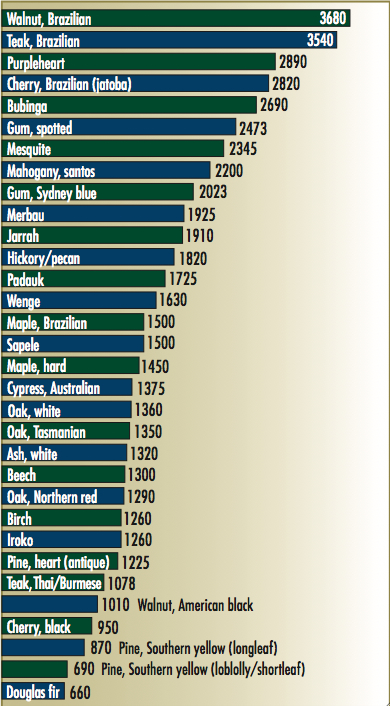 The Janka scale is a measurement used to rank the relative hardness of wood species used for flooring. Janka ratings are determined using a test that measures the force required to embed a .444-inch steel ball to half its diameter in each species. The denser and harder the wood, the higher the rating. These rating are for solid wood flooring only. Engineered wood flooring cannot accurately be ranked using the Janka scale because it can include more than one wood species due to its multi-layer construction. 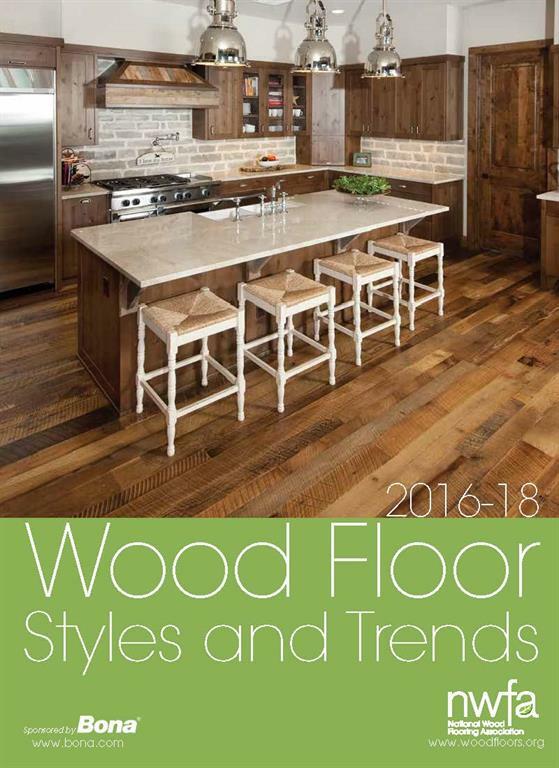 In addition to Janka ratings, there are other factors that contribute to the overall durability of wood floors as well, including saw cut and finish. One of the advantages of wood floors is that they can be refinished, which makes them a great long-term value. If small scratches occur, they typically can be repaired easily with a maintenance coat. A wood flooring professional will clean the floors to remove all contaminants, then will lightly abrade the floor and apply a new coat of finish. If scratches are deep in the wood, or if there are large dents or damaged boards, trained refinishers will be able to repair the damage without affecting the rest of the floor. The number of times a floor can be refinished will depend on the floor itself, the degree of repair needed, and the skill of the refinisher. A professional refinisher will remove very little of the wood to make repairs – generally 1/32" or less – while those without proper training or equipment might remove much more wood than that, which greatly reduces the service life of the floor. Complete this form for more information on the benefits of hardwood floors in your home or business, delivered right to your inbox. 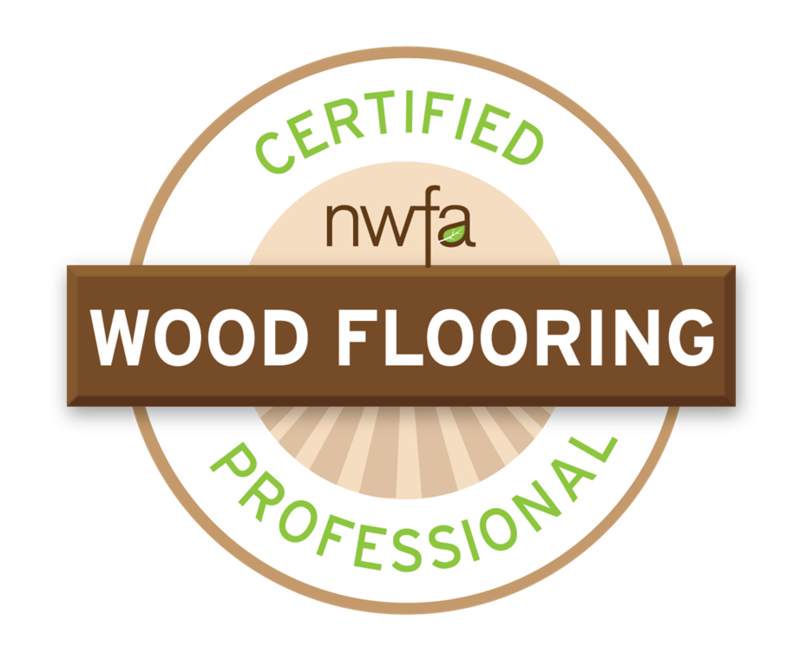 Visit National Wood Flooring Association's profile on Pinterest.